Ullapool is charming - as is this hotel. No frills - basic accomodation - but has everything you need and so friendly. 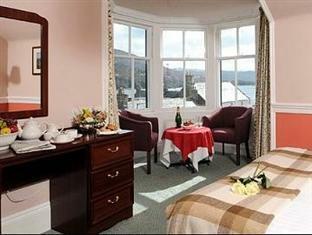 Best value stay we have had in Scotland. Staff very helpful, good location, decent breakfast, and good value for money. Hotel is a little old fashioned and wouldn't suit fussy people as needs a bit of tlc. However, has everything you'd expect; TV, tea and coffee, en suite etc so no complaints. Only downside is that the bar is quite expensive for craft ales/bottled beer. This hotel was very disappointing, and it had many issue. The hotel was in need of being upgraded, especially the bathroom, which was very slippery and unsafe to have a shower in. The food was very average and cold at breakfast time. You would have thought you were still living in the fifties. For the money that they charged 112.00 pound at night,it was not good value for money at all. We would never recommend this hotel to anyone. Been here before and again exactly what I want, simple, comfortable, no fuss and excellent value. I will be here again soon. Checked in room in anex view of wall. Bathroom grubby with mould sink cracked bath chipped floor wet. Heater in room all burned. Avoid. Hotel in need of total make over,totally crumbling inside and out!! Breakfast was good,adequate enough.Staff were friendly and pleasant. Corridors not cleaned during 3 night stay - unable to have lunch as no service. Dinners very limited and the fact that tables virtually free and local restaurants having an hours wait for a table says much. Bathroom not clean and we reported 2 hygiene issues which they did rectify. Apart from reception and bar we did not feel that staff had received any training in customer relations. A tired hotel desparately in need of care. As has been said,the hotel needs a serious refurb. However, if you get a good price it is ok for an overnight stop.everything is adequate and the staff do make an effort. 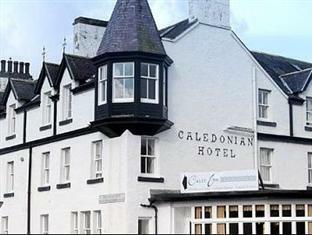 This hotel was great - fabulous location, clean and staff very friendly and accommodating. Good breakfast and entertainment (accordionist) on the Saturday evening was also enjoyable - it's a shame music and bar had to close early because of residents upstairs but apart from this minor detail, I would definitely stay here again. Great value for money, large rooms and in an ideal location. Perfect. This hotel is a great location in ullapool with nice and friendly staff however rooms are very dated and parking can be a nightmare when busy. Room on ground floor alongside street-just below eye level with no window covering other than curtains so to have any privacy had to close curtains even when daylight outside. Window frames black with mould. Door lock broken- used chair against it at night. Dusty remains of cobwebs on ceiling. Toilet leaking-reported twice but remained unfixed despite having been "attended to" Had to put toilet roll on floor. Hairdryer didn't work. No advice in room re hotel facilities so day 1 we arrived 9.05 for breakfast - staff told us to grab some hot food as it was being cleared away. Finally got 1 small, half-filled pot of coffee to do us both, no opportunity for any cereal etc. Seemed to be ongoing tensions in restaurant staff. Chaos prevailed with management systems non existent (felt like staff surviving mealtime). Reception staff language difficulties-on reporting toilet for 2nd time receptionist didn't understand what we were saying-housekeeping staff passing through had to step in clarify to receptionist. To sum it up and cement our impressions we overheard people in car park describing place with words I'd prefer not to use here. Needless to say - not good. An injection of some serious management and training and intensive modernisation may help. Rant over! I did take some photos... but don't seem to be able to post here. 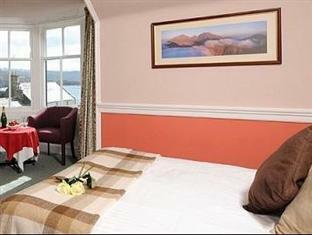 Excellent value for money, decent sized room, though I know from previous stays that some are small. Good breakfast sets you up for the day. Central and no problems parking.